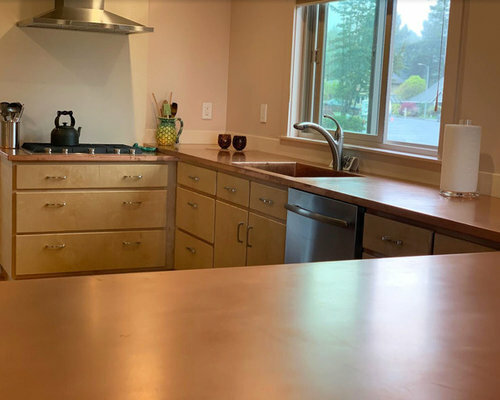 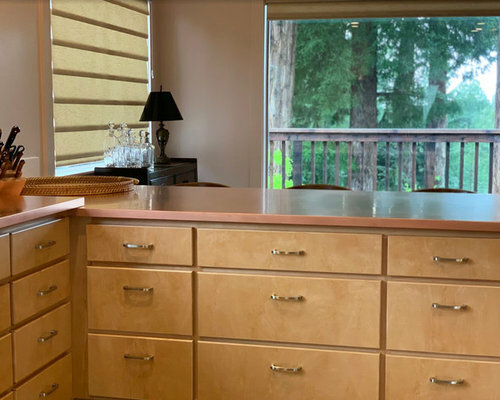 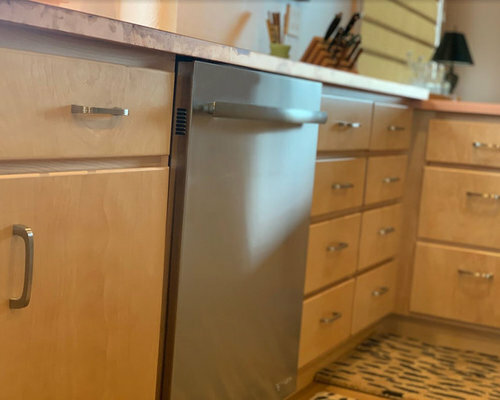 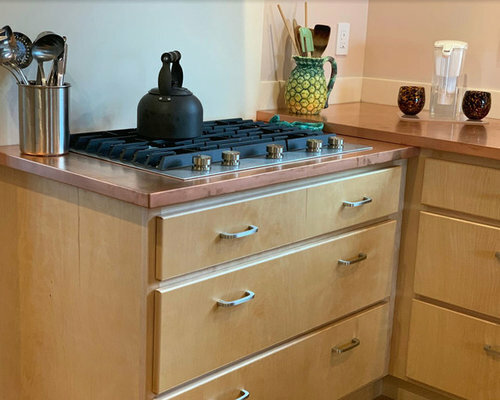 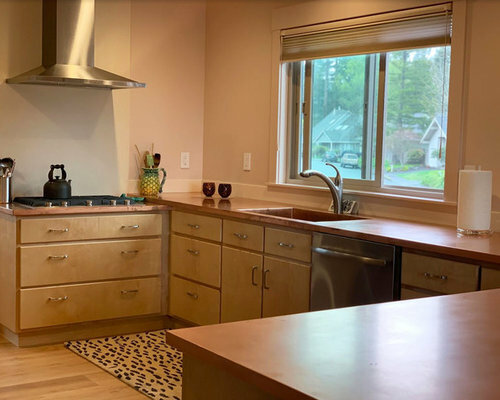 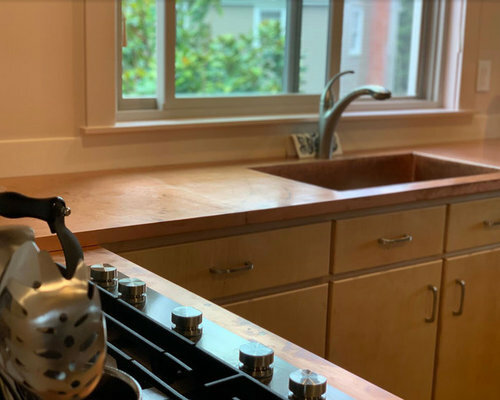 This client added copper countertops to her mid-century modern home overlooking the redwoods. 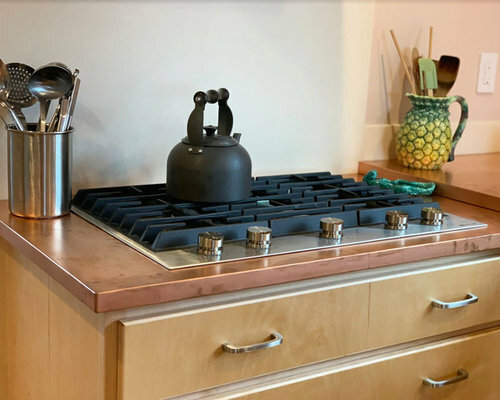 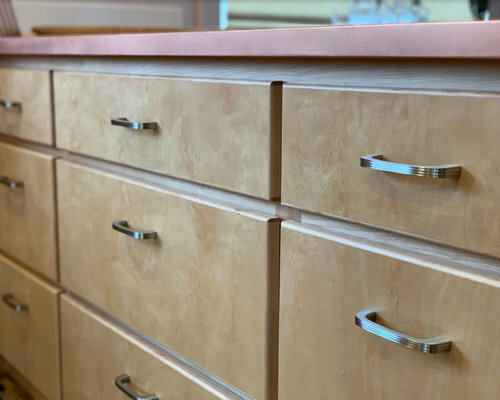 Copper countertops are known as a "living surface", full of character and ever-changing style. 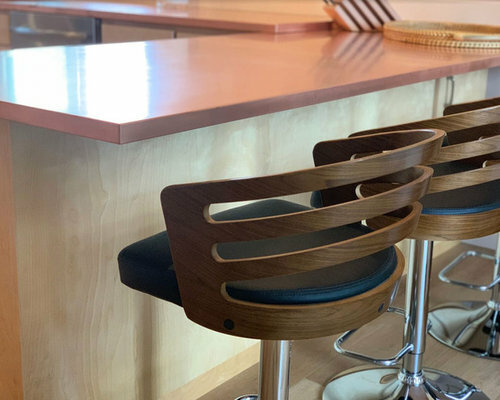 This space is beautiful, sleek and bold. 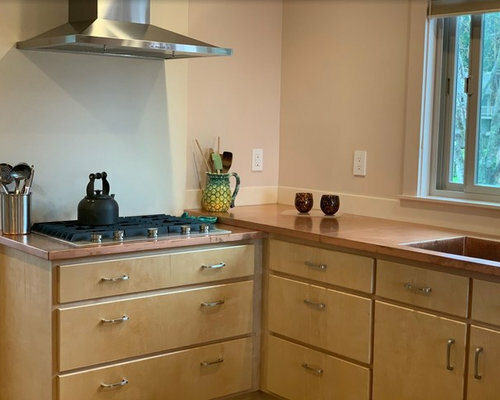 We love the decorative accents the client added to this unique space!